I do love the girly laptop bags. The bags that scream "I don't belong to a boy!". 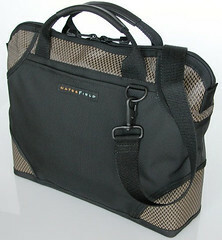 A few years ago, I got a review copy of the WaterField Racer-X Laptop Briefcase which I totally fell in love with. It fit my laptop perfectly, had just the right amount of space for my other necessaries and it was great for travel. 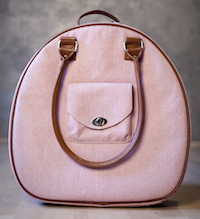 It was my go-to bag for quite awhile and it gave me great joy. Then my father-in-law needed a laptop bag and since the Racer-X was the only one I had at the time that wasn't overtly girly, I gave it to him. And then...then I missed it. So you can imagine my delight when the Cozmo by WaterField in "Stone" arrived on my doorstep, all sleek and well-proportioned. It's like I'd been given a second chance at love. 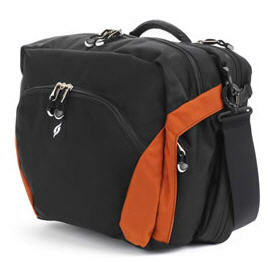 Check out the full review of the Cozmo laptop bag over on Squidoo. 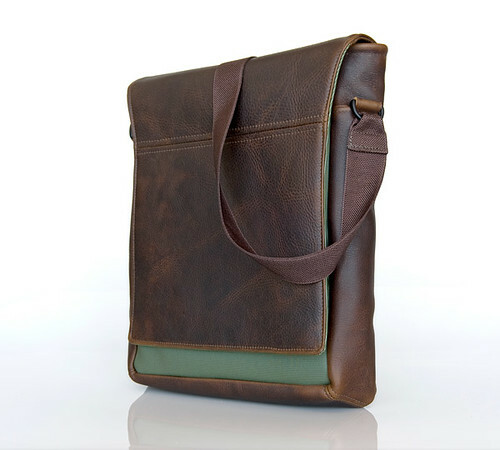 Waterfield Designs just let me know about a new "man bag" they created - the Muzetto is a light-weight vertical bag made from distressed leather with six vinyl colour accents. 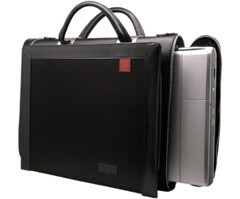 Comes in two sizes - the Laptop (holds a 13" laptop/netbook) or the Personal (for personal electronics). And I like how they put the obvious need for a man-bag on their site: "The bulging pants pocket look is out; it's time for the Muzetto"
The Muzetto sells for $179 or $239 depending on model. This may sound a little funny, but I really respect the Computer Bag from Aaron Irvin. It has a clean, simple aesthetic - stark, minimalist yet perfect in its simplicity. It is design forward, takes a couple of risks and makes it look easy. 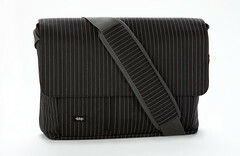 Ideal, in particular, for men who are looking for a high-end, sophisticated laptop bag. The end cap design is both unusual and functional, although it did take a bit of getting used to. You can read the full review of the large Microfiber Laptop Bag from Aaron Irvin on my laptop bag lens.